RAF Holmpton, originally known as RAF Patrington, was a WW2 Early Warning (EW) radar station. A short period later in the War, a Ground Control Intercept Station in the form of a Happidrome was built at Sunk Island near Patrington. By 1951 the air defences of the UK were being ‘beefed up’ under the ROTOR programme around the country to counter the rising Russian threat. To this end plans were made to construct a ROTOR R2 underground bunker at nearby Out Newton to provide a Centrimetric Early Warning (CEW) function, which would report to a ROTOR R3 underground bunker on Sunk island. However after extensive surveying it was found to be untenable due to poor geological conditions at Sunk Island, and the associated spiralling costs. The decision was taken to combine the two proposed sites at Holmpton into one R3 underground bunker. Construction began in 1952 and the site opened in 1953 after being given priority in the construction programme. It became fully operational by 1954 and was originally a combined CHEL/GCI station, with RAF Bempton nearby acting as the CEW function. In 1957 RAF Holmpton was upgraded to become a Master Radar Station and a type 80 Radar was installed in 1958; the remotely located type 7 and type 14 sites continued to be used until sometime after the refit had been completed. At the same time the interior of the bunker was refitted with a new ops room being constructed, this was provided with a ‘Kelvin Hughes’ PDU plotting table. This system was able to continually display the radar image onto a plate glass table by photographing each radar ‘rotation’ image onto 35mm film and the projecting the resultant image into the glass table from below; the system being able to update the image every 30 seconds. The station was again refitted in 1961 and the old ops room was closed, and nearby RAF Bempton was put into care and maintenance with Holmpton assuming the CEW function. During this period, Holmpton also became a control centre for the new BloodHound Missile System and by 1962 Holmpton became the National Bloodhound Command and Control Centre (NBCCC) for aforementioned system. This was a short lived period though and only lasted around 5 years. In the late 1960’s, and after some major upgrading to UK air Radar following the installation of new US equipment at Staxton Wold, Holmpton was upgraded again to the status of Master Comprehensive Radar Station (MCRS). It was subsequently tasked with running its own functions, as well as those at the new remote site at Staxton Wold. Holmpton remained operational as a Radar Station until 1974. Between 1974 and 1984 it was used as a training site for Radar Engineers, but post 1984 saw Holmpton being used and refitted as the RAF Support Command. This was completed by 1984 and then evolved into the National Wartime (Emergency) Command Centre for RAF Support Command (RAFSCOC). This new role for Holmpton was short lived and ceased operation in 1991 with the end of the Cold War, Holmpton was closed in 1992. Following its closure the site was then used for training RAF police and the RAF Regiment. In 1995/6, Holmpton was proposed as the operations centre for the new UK Air CCIS system. This was not undertaken due to cost, but an experimental UK Air CCIS operations room was constructed at Holmpton. This element of UK Air Defence is still classified and no further information is available. 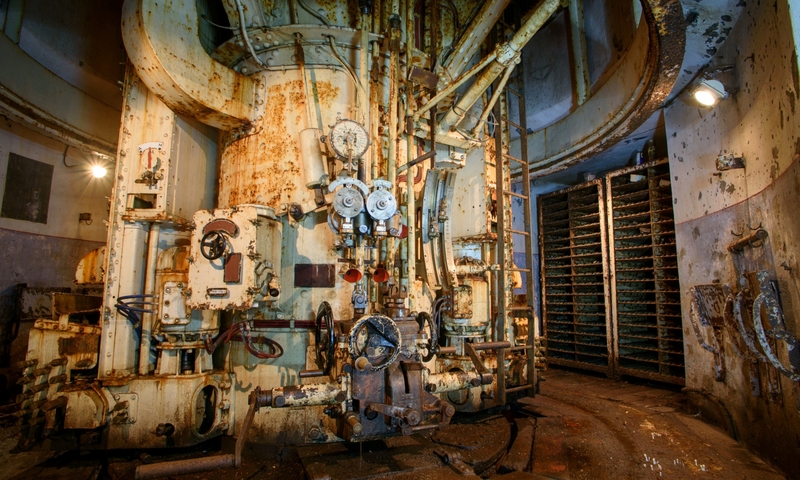 An interesting point to note is that during this last refit an area was set aside for the Royal Observer Corps to fulfil their monitoring function. This then evolved into the ROC/NBC Control which remained at Holmpton till around 1995, almost 4 years after the ‘official’ stand down of the Corp. 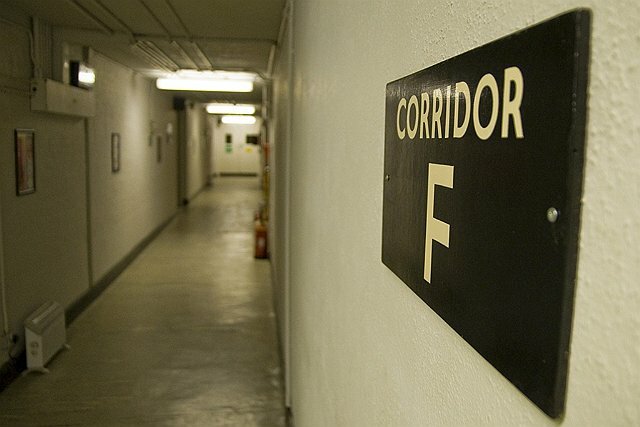 In 2003 the Defence Archive moved into the Bunker and over the next few years the bunker was restored with each area representing a different piece in its fascinating history. The bunker is well worth a visit and is superbly represented by knowledgeable guides as well as lots of original equipment and accurate displays. See the Official Holmpton website for further information. Below is a selection of information related to RAF Holmpton.